9 Ways to Make Hummus Dip That Will Please Everyone! This post was originally written on October 25, 2012 during my 2 1/2 year tenure as a blogger for FAMILY GOES STRONG. The site was deactivated on July 1, 2013, but you can read the post here. If you have hummus dip in your refrigerator you have a key ingredient to make quick easy meals and snacks. By using different add-ins you can make hummus go from plain to personalized in minutes! And you’ll save money, too, when you buy a large tub of plain hummus rather than so many separate varieties. Just add 1 tablespoon of your favorite “add-in” to one half cup of plain hummus and stir. You can also put out an assortment of “add-ins” and let the family mix and match their own custom creations. Use whole wheat pita triangles and fresh cut vegetables for dipping to make the meal a nutritional winner. 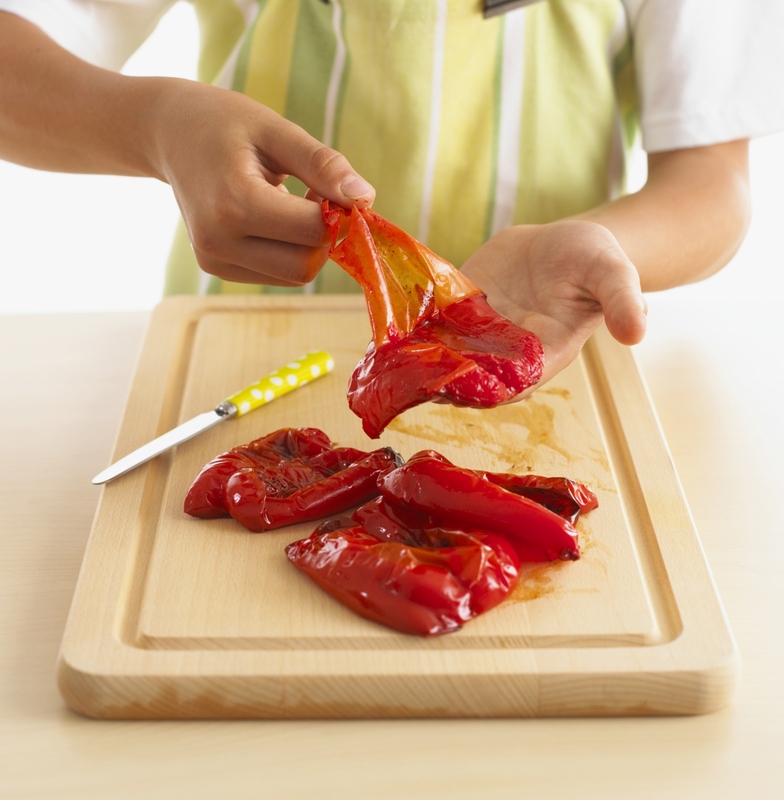 Roasted Red Pepper: Use freshly roasted sweet red peppers when in season or for convenience, the ones in a jar. They can be chopped and added or pureed to turn your hummus a rosy color and blend the flavor throughout. Mashed Butternut Squash: You can find this mild-flavored, orange-fleshed squash already peeled and cubed in the produce section and with the frozen vegetables if you don’t have time to start from scratch. Roasting brings out the sweetness and makes it easy to mash into a creamy consistency. 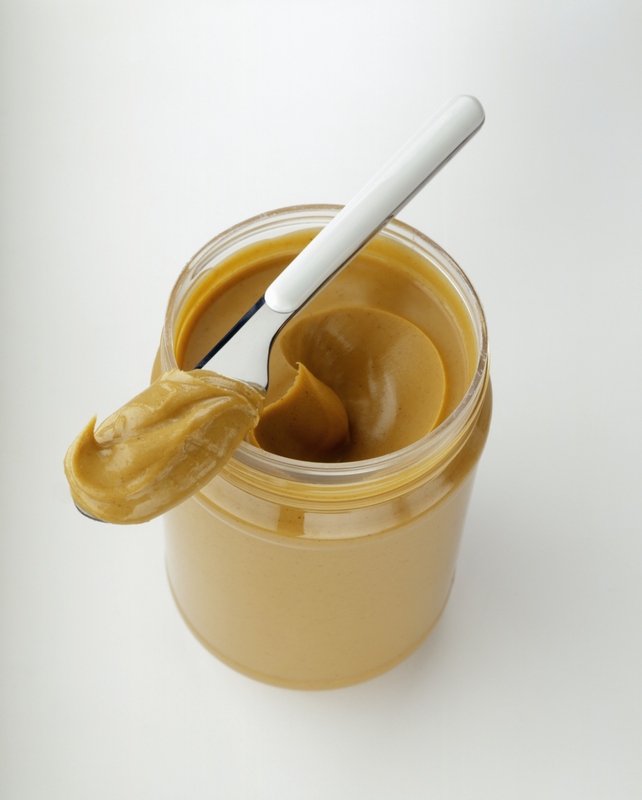 Creamy Peanut Butter A great way to combine two good sources of plant protein and get a spread that has fewer calories per tablespoon than straight peanut butter. Other nut butters, like almond butter and cashew butter are equally good. Chopped Olives Visit the olive bar in your market to find different types of olives you can buy in small quantities. Stuffed olives can be used, but be sure to choose pitted olives so they’re easy to chop. 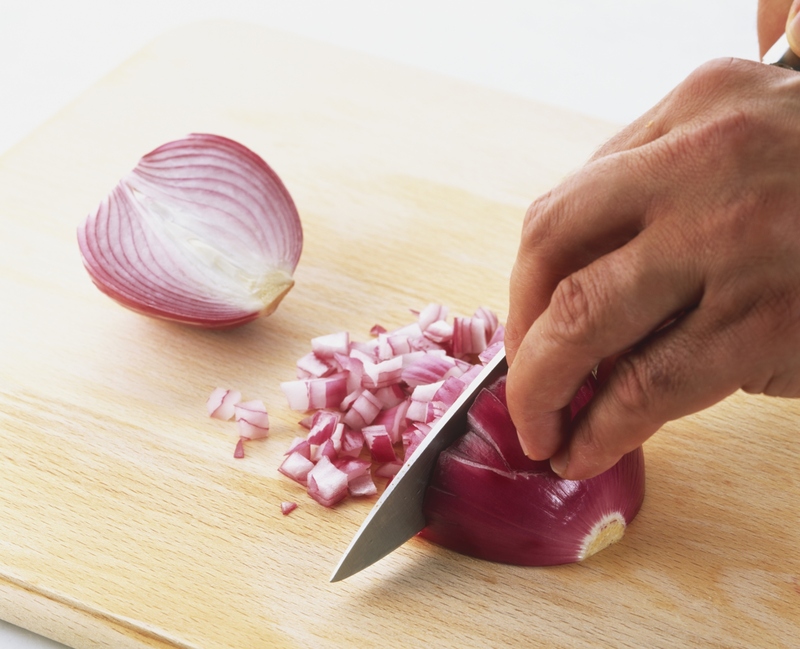 Diced Red Onion: The pungent flavor of raw onion takes plain hummus to another level. Sweet Vidalia onion can be used for a milder flavor or you can caramelizing any onion for a sweeter flavor. Canned Pumpkin: Like mashed butternut squash, cooked pumpkin has a smooth consistency and mild flavor than blends beautifully with plain hummus. 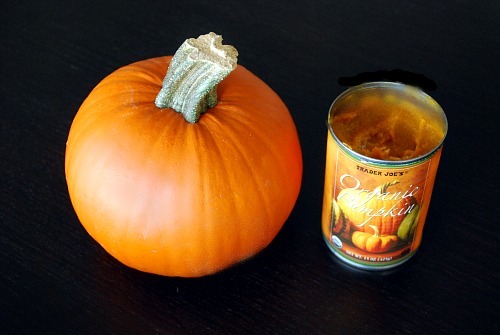 Canned pumpkin makes it easy to prepare this add-in any time of year. Crushed Roasted Garlic Roasting garlic softens the flavor and makes the bulbs easy to mash and add. Peeled cloves can also be placed in a pan with olive oil and roasted if a whole head is not needed. 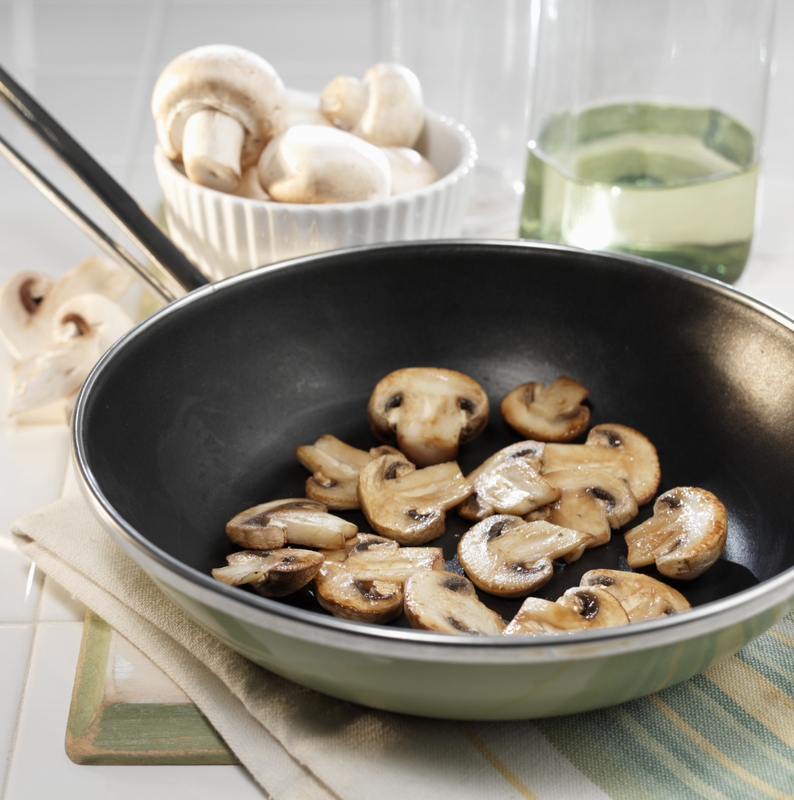 Sautéed mushrooms: Mushrooms will cook faster and release their juices if finely chopped first. Once all of the liquid evaporates they are ready to blend into your hummus. 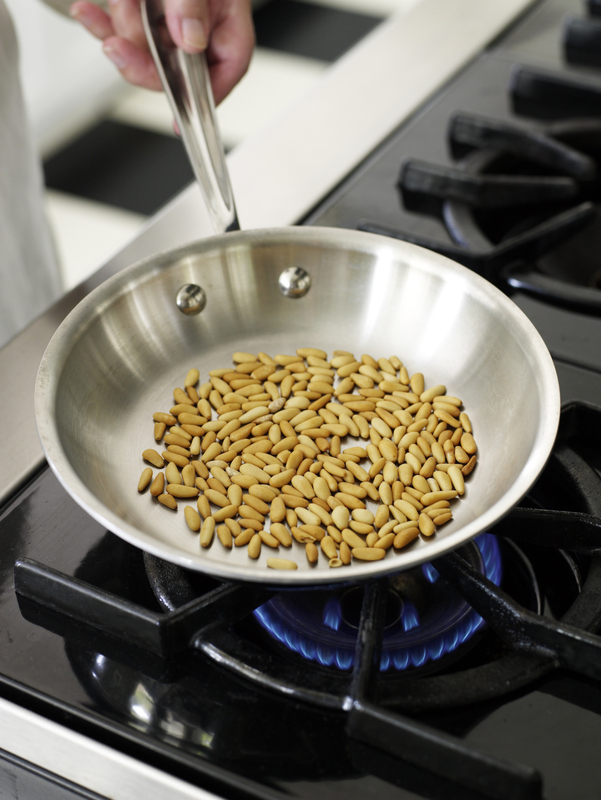 Toasted Pine Nuts Toasting nuts help them release some of their oils and reduce their astringent flavor. The crunchy texture of nuts provides a pleasant contrast to the creamy consistency of the hummus. Other nuts, such as walnuts, pistachios and hazelnuts are also good choices. Posted in Eating Right, FAMILY GOES STRONG, Food Preparation, Healthy Lifestyle, Ingredients, Snacking and tagged easy meals, healthy snacks, hummus, mushrooms, olives, pumpkin, recipes, roasted peppers.